In the twenty-first century, airplane flight— once a remarkable feat of human ingenuity—has been relegated to the realm of the mundane. In this mesmerizing reflection on flying, Mark Vanhoenacker, a 747 pilot who left academia and a career in the business world to pursue his childhood dream of flying, helps us to reimagine what we—as pilots and as passengers—are actually doing when we enter the world between departure and discovery. In a seamless fusion of history, politics, geography, meteorology, ecology, family, and physics, Vanhoenacker vaults across geographical and cultural boundaries; above mountains, oceans, and deserts; through snow, wind, and rain, renewing a simultaneously humbling and almost superhuman activity and reawakening our capacity to be amazed. 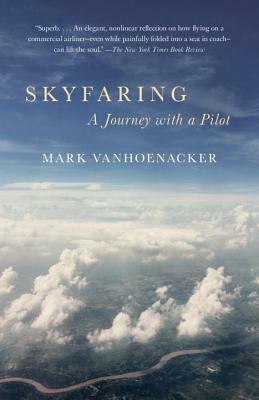 Mark Vanhoenacker is a pilot and writer. A regular contributor to The New York Times and Slate, he has also written for Wired, the Financial Times, the Los Angeles Times, and The Independent. Born in Massachusetts, he trained as a historian and worked as a management consultant before starting his flight training in Britain in 2001. His airline career began in 2003. He now flies the Boeing 747 from London to major cities around the world.